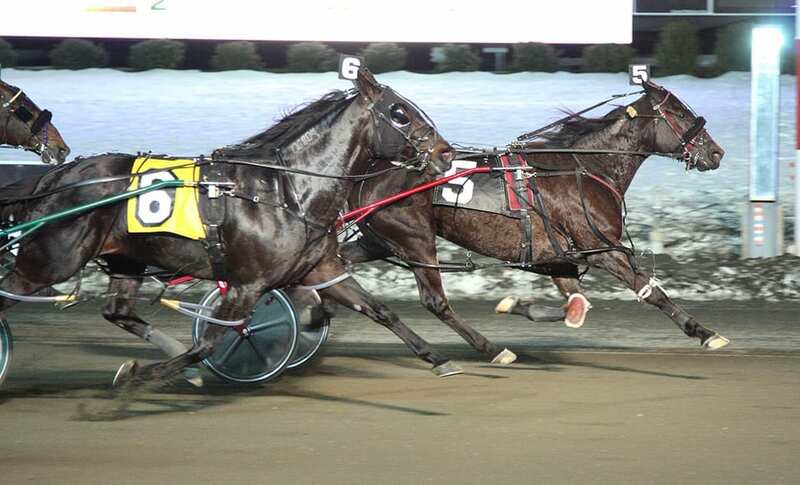 “Retired” after a Jan. 3 race at the Meadowlands in which he finished last, the venerable Golden Receiver, now 10, will return to the races, co-owner Gene Kuzrock reports. Kuzrock said the decision was, in effect, made by the horse, who seemed very unhappy to be away from the racing wars. He will begin his comeback in a qualifier at Vernon Downs. Alexandra Berube is listed as the trainer. “(Breeder) Nina (Simmonds) had the horse and the first couple of days he was happy,” Kuzrock said. “Then he just started getting miserable. He was not a happy horse. She took him out and jogged him and trained him a little bit and his whole attitude changed. He’s never been better. Kuzrock said that all of Golden Receiver’s earnings will go to charity and he has already picked out different chanties he plans to donate to. Golden Receiver has won 63 races and has earned $2.2 million, but he was just 5 for 25 in his last full year of racing and is now 10. It’s unlikely he can return to top form, but Kuzrok said that is ok.
“I think he can do very well on the small tracks,” he said. “And who knows? He’s had a lot of time off and that knee has really come down quite a bit. We’ll see. We’ll see what he ca do in his qualifier at Vernon. Kuzrock said Golden Receiver will have one more qualifier before going in an Open at Vernon.